If you’re thinking about fitting your beloved cat with a tracker device on its collar, you’ll want to make sure you stick within some basic health and safety requirements, so as not to injure your cat or cause it any problems. Things like the size and weight of the device itself are obviously going to have the most bearing on how suitable the collar is for your particular cat. For example, a smaller breed with a narrow neck may be better off with a smaller device than a large cat which can accommodate something bigger without too much trouble. So what sort of things do you need to take into consideration when choosing from the variety of cat tracker collars there are on the market? How big is the device itself? Anything more than a few centimetres (e.g. around an inch and a half) across is likely to interfere with your cat’s head movements, so should be avoided. There are some trackers you can buy that are especially large – primarily being designed for dogs or larger animals – and are thus most unsuitable for a smaller pet such as a cat. This is another very important factor. If you think about it, cats are quite small creatures, so you wouldn’t want them to be carrying around anything too heavy strapped to their neck. It has been estimated that some of the heavier tracking systems are the equivalent for a cat of a human having a bag of sugar on their neck at all times – not something we’d recommend anyone tries so certainly not something you should force your beloved pet to put up with! We’ve written previously about the differences between Radio Frequency and GPS technology, so we won’t go into it further here. Suffice to say, though, that the Tabcat tracker works on Radio Frequency – which many studies have shown is better for cats than other methods. (See our previous post – Why Radio Frequency is Better than GPS in a Cat Tracker). And you’ll want to be sure, of course, that the device you fit to your cat’s collar will actually do what you want it to – i.e. locate your cat if they get lost. Something the Tabcat was specifically designed for, with a large number of satisfied customers throughout the world who can testify to the quality of the device’s tracking capabilities. Another factor you may not necessarily have thought of is how the collar looks with the tracker fitted to it. This may not be of paramount concern to your cat, obviously, but we’ve come across many cat lovers over the years who wouldn’t dream of allowing their cat to roam around outside looking anything less than their best. Fortunately, we always receive great compliments about the styling of the Tabcat, so we’re sure you’ll want to keep it on your short list if styling is an issue for you. There’s no point investing money in a cat finding device if it breaks through the kind of wear and tear you’d expect for anything attached to a cat. As we know, cats are curious creatures, so they will generally be moving around a lot outdoors, climbing trees and jumping onto fences and such like. If your device isn’t hardy enough to withstand this sort of treatment, you could just end up with an expensive piece of not particularly attractive decoration around your cat’s neck, rather than something with a specific and useful purpose. Tabcats are available with splashproof cases – allowing them to be worn outdoors in all types of weather. Compared to other types of device, this may well prove to be the deciding factor in your considerations. It’s not a surprise to have us praising the features of the Tabcat cat tracker on the Tabcat blog. But we’re actually genuinely proud of all the effort that went into the design of the Tabcat in the first place – essentially taking all the points as outlined above and coming up with the perfect match for them in the shape of the device itself. Why not take a look for yourself and join the many thousands of cat owners throughout the world who rely on Tabcat to keep their cats safe. 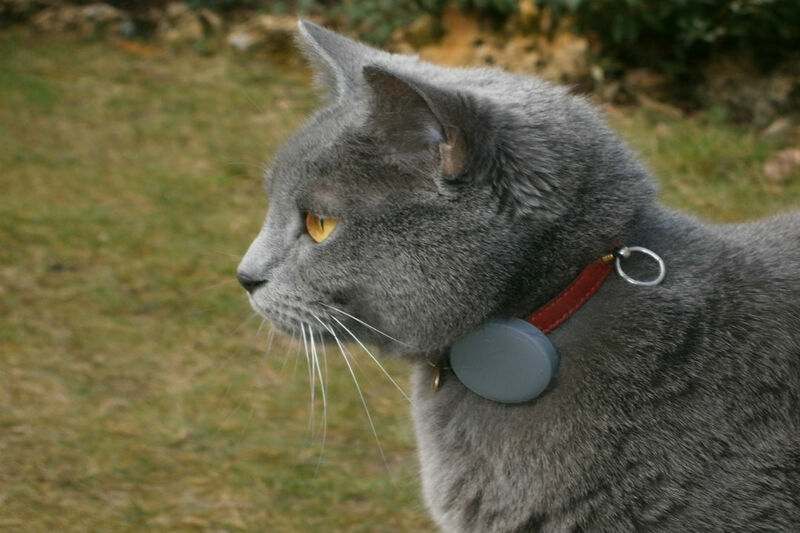 This article discusses things to Consider When Choosing the Right Cat Tracker Collar. Tabcat cat Tracker – Is it really Perfectly Sized?